The education platform helping coaches thrive in the world. Graduates from our programs are finding success and fulfillment while making a true difference in the world. Veteran, Nicole (featured) is using her Become a Health Coach training to help other veterans combat chronic PTSD. How can our coaching programs help you make a difference? The education platform helping practitioners thrive in the world. With internationally acclaimed instructors like Andrea Nakayama (featured) at the helm, our graduates can expect to learn ground-breaking ways to treat their patients and inspire lasting change, leading to a thriving practice that clinicians trust to keep coming back to. The education platform helping students thrive in the world. 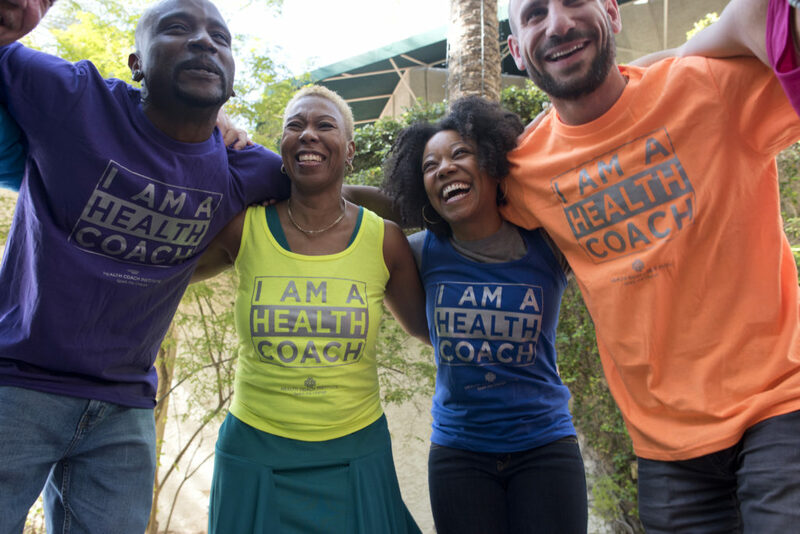 More and more health and wellness coaches and practitioners are raving about our cutting-edge curricula, not just for the uniquely valuable training they receive, but also for the heart-centered community they get to become a part of. The education platform helping you thrive in the world. We are a 100% virtual company with over 200 team members in 31 states and 12 countries. We believe health comes first, which is why we encourage our employees to find their best work/life balance and work schedules that fit their lifestyle. The education platform helping humanity thrive in the world. Using a unique process that incorporates the teachings of Functional Medicine, customized for nutrition and lifestyle counseling, we seek to identify the source of patient suffering, then create personalized, therapeutic processes to help them meet their goals and get them back on the road to recovery. At Empowered Education, we’ve trained more than 20,000 coaches and practitioners around the world in a new healthcare paradigm that is fundamentally changing the landscape of health and how we treat lifestyle disease. Through our online training programs and live events, our graduates are equipped to work directly with clients or patients, or partner with doctors and allied functional medicine professionals. Our practitioners work to identify root cause of illness and provide their patients with the critical support and our coaches provide the accountability clients need to make lasting transformation and thrive in health and life. Where students go to master the art, science, and business of coaching so they can transform lives through the power of habit change and healthy lifestyle design. Where doctors, practitioners, and patients go for functional resources and solutions to reclaim health through personalized medicine. When our students and practitioners graduate, they’re equipped to empower others to reclaim their health, experience breakthrough results, and launch high-impact careers that are revolutionizing healthcare as we know it. Our curriculums are revolutionizing health and nutrition education by providing our practitioners and students with all of the tools and training they need to inspire eagerness, and create positive, lasting transformation for their clients, patients—and themselves. We believe in creating agents of change that are crucial partners in the healthcare revolution. We believe in a “first for you, then for others” approach to learning, meaning you must first learn to create transformation for yourself before you can successfully do so for others. Our world-renowned teachers have created extremely successful careers in their specific zone of genius—but their real genius lies in knowing WHY it matters, how to put it into practice, and sharing their wisdom in a way that’s relatable, engaging, and easy to understand. Our education programs combine lesson-based learning, hands-on learning, and expansive mentorship to help practitioners and students become masters of their craft and become the go-to professional in their community with unshakable confidence, all while creating abundant careers of their choosing. We are a global network of like-minded individuals who share the same unified mission to promote wellness-driven lifestyles and reverse chronic disease. We support our students and graduates throughout every stage of their education and professional journey with opportunities to connect, learn, and grow together. Our community will likely become your support network of fellow coaches and practitioners for years to come. Empowered Education is looking into the future by planning for continued expansion in the U.S. and internationally, in addition to investing in research that shows the efficacy of our Functional Nutrition and Health Coaching programs in improving health outcomes for those suffering from chronic disease. We want to focus on leveraging the latest in health technology and digital therapeutics to allow coaches and practitioners to scale their impact, reaching more patients and clients. We’ll achieve this by implementing digitally-delivered, empowered health education, tech-enabled data and measurement, and most importantly, compassionate human care, community, and masterful coaching. We’ll be focusing on innovations in two foundational areas: 1) existing online training programs and live events that train coaches, practitioners, and impassioned changemakers to help others optimize their health and 2) education and coaching platforms that empower patients to address disease-specific conditions through diet, lifestyle modification and habit change. Our healthcare system is in crisis and the world is ready for a massive shift in health and wellness education. This research will help Empowered Education to create a real path toward better alignment between existing healthcare systems, Health Coaches, and Functional Nutrition professionals. We believe this has the potential to give patients the support they need to create lasting habit change. Empowered Education’s mission is to positively impact millions of lives by focusing our collective attention on nutrition, habit change, and wellness overall. Empowered Education has grown to over 200 team members around the United States and the globe. Are you looking to learn more about our programs? Perhaps you’ve got a company with similar values and are looking to partner up. You may even be seeking out a fulfilling career with us. Or, maybe you just have a question that we haven’t answered yet. If any of the above and/or more has you wanting to reach out to us, then we’re here to hear you out! Feel free to fill out the following form and let us know how we can help. Our busy support team receives a number of messages daily, so please be patient while we try to address your message as soon as possible!